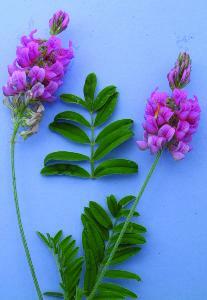 30-60cm herbaceous perennial of open situations on chalk and limestone. Bright pink racemes of flowers July - August much visited by bees. A doubtful native and almost certainly introduced into Britain. An excellent nectar and border plant.